Reinvestment Fund offers impact investment opportunities that are built on our successful track record and our AA- S&P rating. We offer institutional investors the opportunity to support projects that are creating positive social benefits for low-income people and places across the country. Diversified Portfolio – Investments in our loan fund support a diversified portfolio, in terms of assets and geography, reducing risk. Over our 30 plus year history, we are proud to have achieved a 100% repayment rate to our investors. Values Based Investing – Every project we invest in is selected for its potential for positive impact on struggling communities, from jobs created to affordable housing preserved to blighted, vacant properties rehabbed and put back into productive use. Low Costs – There are no fees charged to invest in our loan fund. 100% of your investment in our loan fund is channeled into projects. Seasoned Management – Our team includes thought leaders in impact investing and professionals with a broad range of skills and expertise in asset allocation as well as portfolio and risk management. Founded in 1985, Reinvestment Fund is a national mission-driven financial institution that creates opportunity for underserved people and places through partnerships. We marshal the capital, analytics, and expertise necessary to build strong, healthy, and more equitable communities. We are also a community development financial institution (CDFI) as certified by the U.S. Department of the Treasury in recognition of specialized financial institutions serving low-income communities. In pursuit of our mission, Reinvestment Fund finances housing; community facilities such as early childhood education centers; K-12 private and charter schools; colleges; community health centers; healthy food access; commercial real estate; business development; and clean energy projects using primarily loans as well as equity and other financing tools. We support our financing activities with research and policy analysis. Our programs extend throughout the United States. We enter our fourth decade with extensive experience managing large and diverse sources of capital, having borrowed and repaid our debt at or prior to maturity with zero payment defaults on borrowings. Our loan portfolio performance, as measured by charge offs, has been well below the average of commercial banks.  We have ‘AA-’ issuer credit rating from S&P Global Ratings and were selected as the 2017 Global Impact Asset Manager by Global Social Impact Investment Steering Group (GSG), an independent umbrella organization for nations working to catalyze impact investment and entrepreneurship to benefit people and the planet. What does an investment support? The entirety of your investment will become a source of capital for Reinvestment Fund’s lending activity supporting a wide range of projects that are part of the infrastructure that communities need to thrive. In many communities across America, families are cut off from the advantages of a healthy neighborhood that is full of opportunity. Their neighborhoods lack access to the safe housing, good jobs, quality education, healthy food and medical care that is needed to lead healthy and productive lives. Reinvestment Fund finances transformative projects that revitalize low-income communities so that residents can thrive. The following are examples of projects that Reinvestment Fund has supported. Reinvestment Fund accepts a variety of instruments from program-related investments (PRIs) and mission-related investments (MRIs) to private debt offerings. For investments under $1 million, the simplest investment option is our promissory note program. Investments under our promissory note program are pooled into our loan fund and used to support the breadth of our lending. For large investments (above $1 million) or investments directed to a specific program (e.g., housing, healthy food, education, etc. ), we encourage you to reach out to us directly at 215.574.5819 or email invest@reinvestment.com.